Getting married at a waterfall is an incredible experience. Is is the perfect background for your wedding. The sheer force of the water and the crisp air create an energy that pairs with saying your wedding vows. Surrounded by nature there are often unexpected guests like monkeys, toucans and maybe a beautiful blue morpho butterfly. The ceremony ends and there is a sense of peace. The sound of cascade overwhelms everything and you’ll find your focus on each other. It’s a ideal way to start a marriage. Leave your heels at home. 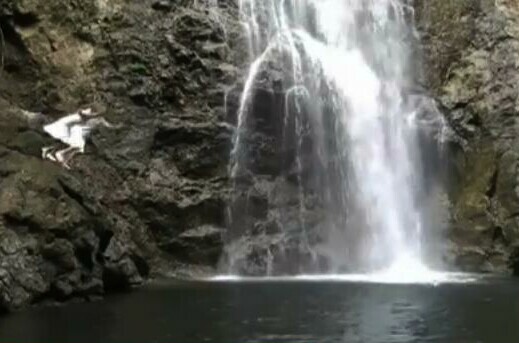 A waterfall wedding requires a bit of a hike. Even at a hotel you will have to walk down many steps. This video is a snippet of a wedding in the Montezuma area. It was an elopement at sunrise. The bride and groom, photographer, videographer and officiate had a hike ahead of them but it was worth the effort. The spot was beautiful, and secluded (except for a few animals), and culminated with the bride and groom jumping in to the waterfall pool! John Williamson shot the original video from which this version was made, below. This entry was posted in Elopements, Waterfall Weddings, Wedding Ceremony, Wedding Locations, Wedding Pictures by Randy Gritz. Bookmark the permalink. 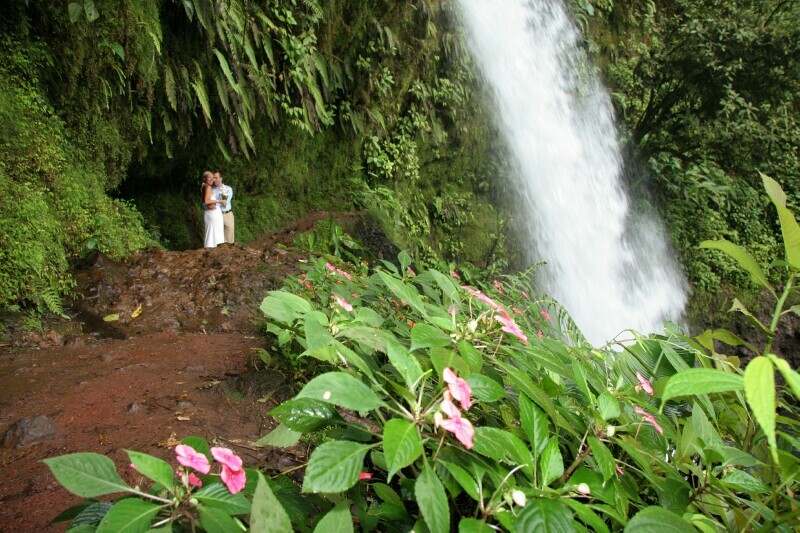 is the waterfall venue only for elopement or can you do a regular size wedding here too? Everything depends on the size of your group and their ability to take a little hike. There are some places that are accessible via a path. Essence on this . Their will only be the four of us, simple but elegant and rustic.